Miss B's offers indoor and outdoor dining. 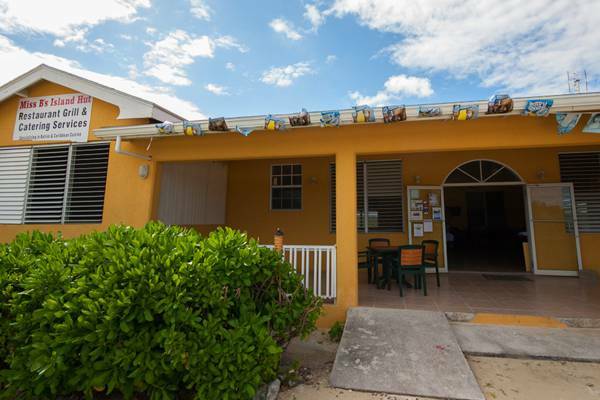 Conveniently located near the North Caicos Airport and Whitby, Miss B’s Restaurant serves many popular local and international dishes. Open for breakfast, lunch and dinner. Miss B's Restaurant also offers catering services and packed lunches. Miss B's is centrally located between Whitby and Bottle Creek. Last reviewed by an editor on 1 October 2018.